The Aspire Active Camps staff aim to make your child's experience a memorable one. Any questions you may have should be answered in the relevant Parents Guides that you receive when making a booking. However, we understand that you may have a few queries before you make a booking. The following information will provide you with everything you should wish to know about the Active Camps activities at all of our venues. If we have missed something then we'll be happy to answer your question. Call 0121 663 1979 or contact us and a member of the team will be happy to help. Why should I use an Ofsted registered childcare provider during the school holidays? Where does registration and sign our take place? Can I pre-book and pay on the day? What shouldn't my child bring? Is Aspire Active Camps registered? My child is 4 years old and in Reception - can they attend? What happens if my child has an accident? What if my child behaves badly? 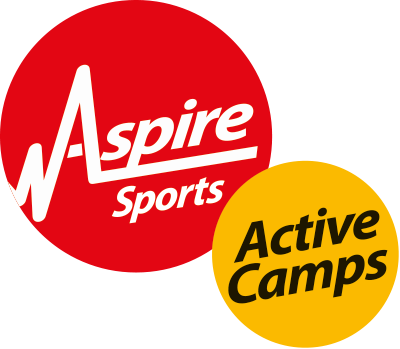 Are Aspire Active Camps insured? What happens if my child has additional needs? How do I contact the Active Camps Co-ordinator? Will you need to contact me? Why should I uses an Ofsted registered childcare provider during school holidays? Before choosing your school holiday childcare provider we suggest you do a bit of research. Do they have a proven track record? Are their staff suitably checked and qualified? Do they hold relevant insurance? How do they recruit? What policies and procedures do they have in place to ensure the safety of your child? These are just some of the questions you may ask. However, the key question must always be, are you Ofsted registered? Unlike some sport and activity based providers, Active Camps is Ofsted registered. Ofsted ensures your child receives the quality of care you expect and demand. It is your assurance of our high standards. Ofsted ensure that we meet all National Childcare Regulations by visiting our camps, approving our policies and procedures and speaking to our staff regularly. Inspection reports are then posted on the Ofsted website (www.ofsted.gov.uk). Where does registration and sign in take place? Registration for all activities will be signposted at each Active Camp venue. We ask you to register at least 10 minutes prior to the pre-booked start time. It is essential that a parent/guardian registers and signs out their child. If another adult is collecting your child, or you are collecting your child before the pre-booked pick up time then please inform the Active Camps Co-ordinator. This is important, as sign out is not available under normal circumstances until 15 minutes prior to pick up. Please inform the Active Camps Co-ordinator if another adult will collect your child or if you are collecting your child before the pre-booked pick up time. At the end of the day children must be signed out by an authorised adult. If your child is allowed to travel to and from camp by themselves they will require written authorisation on the Camp Attendance Form. Please respect our programme timing. If you are likely to be delayed after the pre-booked pick up time please let us know in order to avoid unnecessary concern. For every 15 minutes after the pre-booked collection time a charge will be incurred as explained online in our Terms and Conditions. If you are delayed beyond our latest pick up time of 6pm we will try contacting you using your contact numbers. After that we must notify Social Services of any children still on site. On our summer camps it is important that children bring sun cream and are aware of how to apply it as our staff cannot do this for them. Alternatively, if children bring a spray-on sun cream the staff will be able to help them. All children should bring a packed lunch, some healthy snacks and plenty to drink (in a refillable bottle). We don't have refrigeration food storage so we suggest a lunch box with an ice block or frozen juice to keep the contents cool. Please do not let your child bring food to camp that contains traces of nut. All equipment is provided so there is no need to bring anything except the packed lunch, sun cream and additional clothing. We suggest that children dress in comfortable clothing that is appropriate to the weather and activity they are taking part in. If attending the football academy please ensure your child brings shin pads and footwear appropriate to the facility, ie trainers/Astroturf. Our Terms and Conditions state that a payment must be made when making a booking. Bookings can be made online or over the phone by debit/credit card, Paypal or childcare vouchers. We do not accept payment by cheque. Sports equipment – we've got plenty of that! Yes, our camps are registered with Ofsted to ensure that the highest of standards are met. Ofsted ensures that we meet their regulations in numerous ways – click here to read more about Ofsted and our high standards. Yes, as an Ofsted registered provider it means that we can accept payment by childcare vouchers. To book using childcare vouchers just follow our simple online booking process and select the 'pay by childcare voucher' option at the payment page. If your childcare voucher company is not listed above, don't panic! Contact us and a member of the team will see if we can be of assistance. Children are coached in minimum ratios of 1:16. The ratio for under 8s is 1:8. These ratios are increased further with the Camp Co-ordinator and helpers. My child is 4 years old and in Reception – can they attend? Yes, as long as your child is in full time education they can attend Active Camps. However, due to Ofsted regulations we are only permitted to take 4 year old children for a maximum of 4 hours per day. Therefore, 4 year old children are only allowed to attend our Activity Camp programme for half days. If your child has a medical condition (eg diabetes, serious allergies, epilepsy etc) that we need to be aware of it is essential that you tell us prior to an Active Camps starting. At registration you must inform a member of staff about any medication that may be required and you will also need to complete the Administering Medication Form. All accidents (eg bumps, grazes and stings) will be dealt with by First Aid trained staff. If your child is involved in an accident they will be given a sticker to wear. At sign out please speak to the Camp Co-ordinator as we require the Accident Report Form to be signed to ensure that you are informed of any incident that has occurred. If there has been a serious incident or your child has fallen ill you will be contacted by telephone as soon as possible. At Aspire Active Camps we aim to encourage and reward positive behaviour and deal with inappropriate behaviour firmly and fairly. The Aspire Active Camps Code of Behaviour will be on display at every Active Camps venue and staff will explain what is expected of the children in terms of behaviour. We will endeavour to deal with any minor behaviour problems as they arise. However, in serious cases and persistent poor behaviour we will contact you. Yes, all of our Active Camps venues are fully insured and include public liability, civil liability and professional indemnity. Children with additional needs and disabilities are welcomed at Active Camps after consultation between parents and staff to ensure that all needs can be met within the staff ratios that we provide. Parents should discuss any particular needs of their child with our team at the time of booking. On the first morning you will be given a contact card which will have the mobile number of the Co-ordinator at that venue. They are contactable throughout Active Camps hours on this number. Alternatively, call the office on 0121 663 1979 and we will ensure a message is passed on. If your child is found not to have brought food/drink. Due to the nature of the activities, we recommend that your child does not wear their best or most expensive clothing for camp. We cannot guarantee the return of lost property but we endeavour to return items that are clearly labelled with your child's full name. Where can I find information about each venue? Full details of each venue can be found by clicking here including address , facilities, dates and times.